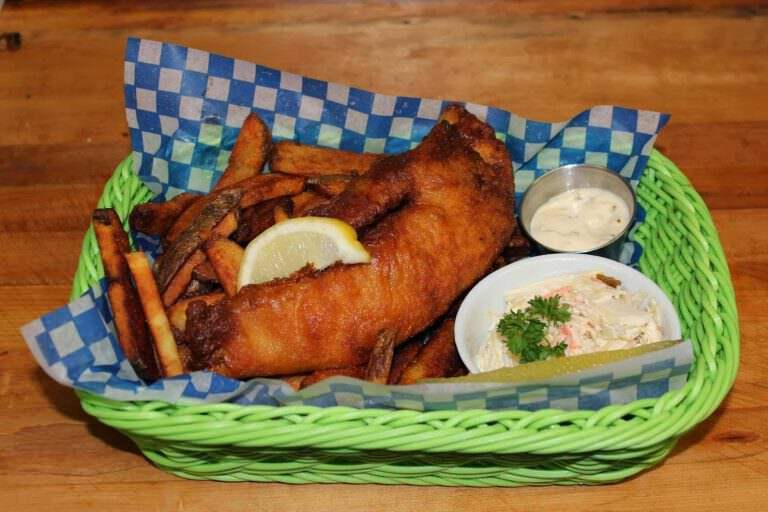 Our Restaurant of the Month for January ’17 is Cat’s Fish & Chips, located on St. Laurent Boulevard. In a cozy and relaxed environment with playful nautical decor, Cat’s serves crispy and flavourful Haddock on a bed of thick, hand-cut fries. Offering East coast authenticity down to the homemade beer batter and fresh tartar sauce, Cat’s Fish & Chips also cooks up unique sea-inspired appetizers for sharing, including rum-steamed mussels and calamari rings. Our favourite is Crow’s Nest, a newspaper-lined vase of seasoned and deep fried onion strings alongside a dip of your choice. Also on deck is a Gluten Free menu, including fish that manages to keep the taste and crunch of the original recipe. Dine in and enjoy friendly and efficiently service or make Cat’s your next pickup or delivery meal. Explore Cat’s full menu, place an order online, and find contact information below. This month, Rachel P. wins a $25 gift certificate to eat at Cat’s Fish & Chips and Gerald K. wins $50 towards their next eyewear purchase at Klein Optical. Winners have been notified. To be entered in future giveaways, subscribe to our newsletter below.